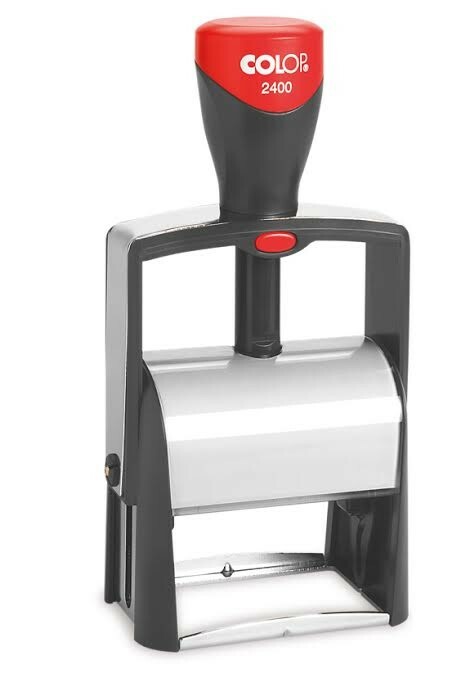 Our range of professional line self-inking rubber stamps are manufactured in robust metal bodies to withstand continuous use while providing perfect impressions time after time. These heavy duty self-inking stamps have a built in replaceable inkpad making them clean and easy to use. Perfect for both personal and business use, these popular stamps can be used in offices, schools, factories, on official documents and to promote your business. Please note the ink supplied in our self-inking stamps is a water based endorsing ink and is suitable for use on matt surfaces (eg paper and card) If you require a quick drying ink for use on glossy surfaces please give us a call.